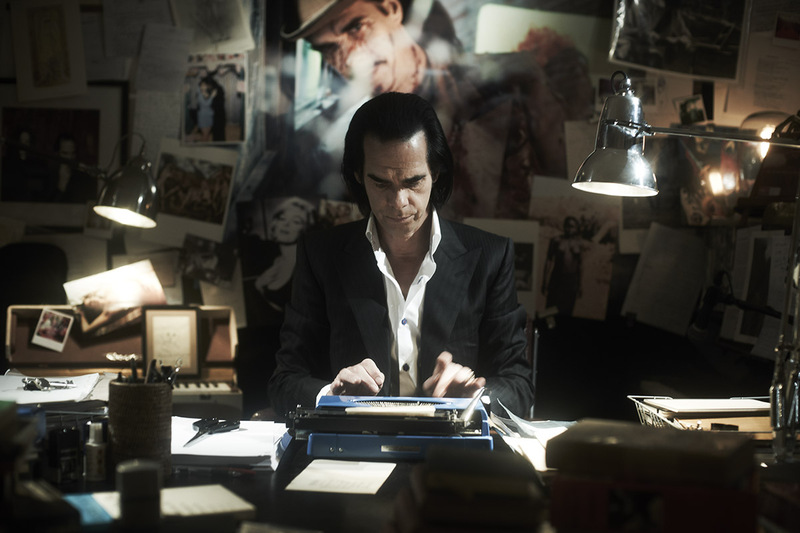 A conceptual music documentary that follows Nick Cave on the supposed 20,000th day of his life as he reflects on the past and ponders the meaning that he finds in performance. Through a number of constructed set-pieces, the film frees itself from the duty of capturing authenticity and presents instead something more fitting of the Melbourne-born, now Brighton-based performer. And though Cave has many strings to his bow by way of his music, poetry and writing, he says that he can’t act. Perhaps it is this quality that gives the film a sense of realism without the need of shaky hand-held cameras. Interviewed by a psychoanalyst on a set, under lights too bright, Cave remembers his father and reveals his biggest fears, namely: losing his memory. This set-up – a staged performance – is fitting of Cave, managing however to capture an honesty, which also explains the purpose of this documentary. The film seems to be an attempt for Cave to capture the past, to reflect on his purpose in performance, or in life perhaps, all captured in this dreamlike construct that appears at once self-aggrandising and self-aware – a humorous angle on the inevitable pretension that usually follows an artist talking about their art. The fictitious day in which Cave journeys into the past and has happenstance meetings with old friends (Ray Winstone, Kylie Minogue among them) whilst driving his black Jaguar XJ, is fitting of the performativity that Cave talks about so passionately. At one point he reads from an old diary that contains rants about the weather of bleary old Brighton. He says of these writings that they are based on truth but ultimately a lie; a dramatisation. Following this, it seems that the film too is fantasy. One which is personal enough to reveal his thoughts on the transformative power of performance, but without ridding of its potency or tarnishing the image that he has come to embody. A little more arty and knowingly contrived, the film playfully subverts the typical fly-on-the-wall music documentary, managing to create something more self-aware and yet somehow more sincere.